Not quite rising to the level of a full-blown “scandal,” Biden and his team were in damage-control mode over the weekend due to a 2014 allegation of sexual misconduct. Lucy Flores, former Nevada state representative, said Biden held her shoulders, “inhaled” her hair, and kissed her head just prior to an appearance at a campaign rally. Biden responded on Sunday with a lengthy statement in which he said he did not believe he acted inappropriately. But, he offered, he will “listen respectfully” to Flores and any other women who might feel he did. At least one woman came to Biden’s defense: Stephanie Carter, the wife of Ash Carter. She was famously pictured with Biden in a similar pose to the one described by Flores. At the time, the photo sparked controversy, but Carter argues in a Medium post that Biden was behaving respectfully. Biden’s fellow 2020 Democrats piled on. Elizabeth Warren said she “believed” Flores and that Biden “needs to give an answer.” Amy Klobuchar said she had no reason not to believe Flores. 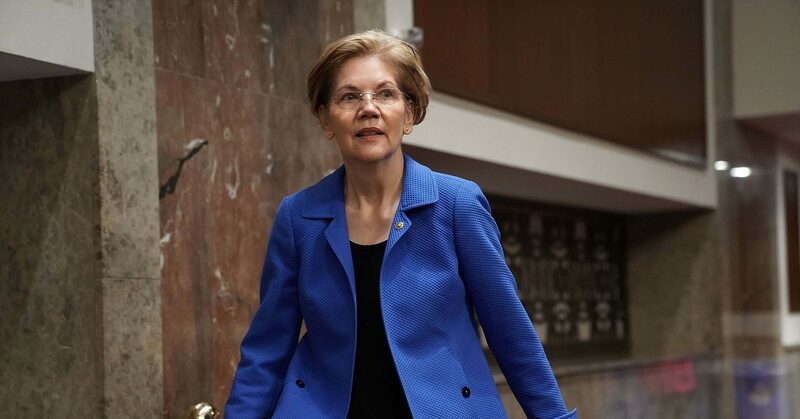 Warren’s finance director quit after the candidate decided she would shun big-money fundraisers in lieu of a strategy that focuses on small-dollar and online donations. The conflict between Michael Pratt, the finance director, and Team Warren occurred in February, and it’s not yet clear when exactly he exited the team. 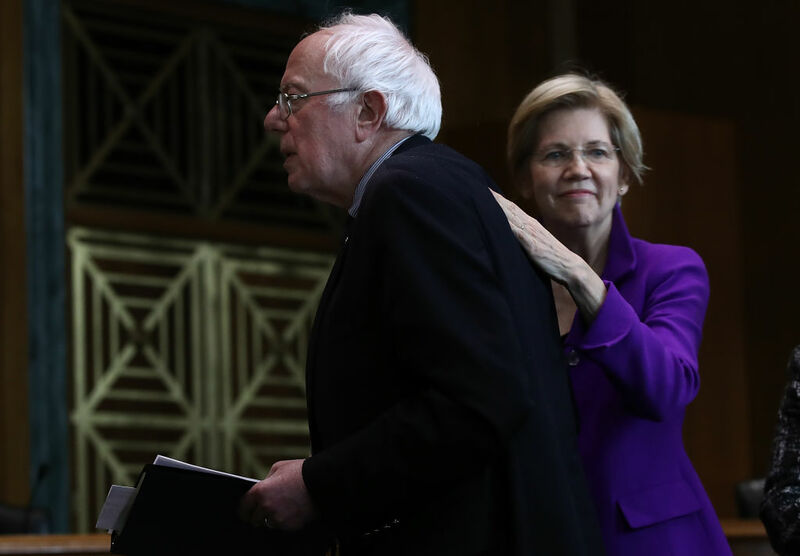 But campaign finance reports for presidential candidates are due April 1, and rumors have swirled for months that Warren’s operation is not on the same level as Bernie Sanders’ or Beto O’Rourke’s. Her polling has been middling as well, ratcheting up the pressure on her campaign. Of all the candidates running for the Democratic nomination, Harris’s past appears to be haunting her the most. On Monday, two outlets released separate reports about increased scrutiny on her time as district attorney and attorney general in California. The first, an AP exclusive, looked into the issue of cash bail reform. Never an advocate for it when she served in her law enforcement roles, Harris suddenly took up the issue when she entered the Senate, leaving critics to ask where she was on this issue for 13 years as prosecutor. Harris also said her campaign raised $12 million in Q1. Much like the other 2020 Democrats, Booker got his own CNN town hall last week in Orangeburg, South Carolina. Booker argued for pardoning federal marijuana offenses, single-payer health care, and the Green New Deal. On changing the Electoral College, Booker argued that Democrats need to win in 2020 with the rules “as is” before they focus on changing anything. He also took a swipe at his fellow candidates on the issue of reparations, arguing some are reducing it just “a box to check on a presidential list” of issues. Booker also addressed an audience at the Human Rights Campaign’s annual gala in Los Angeles over the weekend, arguing Trump and his “MAGA minions” are committing “moral vandalism” with their attacks on the LGBTQ community. Klobuchar unveiled a $1 trillion plan to improve the nation’s infrastructure on Thursday. According to CNBC, “She aims not only to repair roads, bridges, airports, railroads and schools, but also ensure ‘every household in America’ has an internet connection by 2022.” She plans to pay for the massive package by reversing the GOP tax cuts signed into law by President Trump in late 2017. 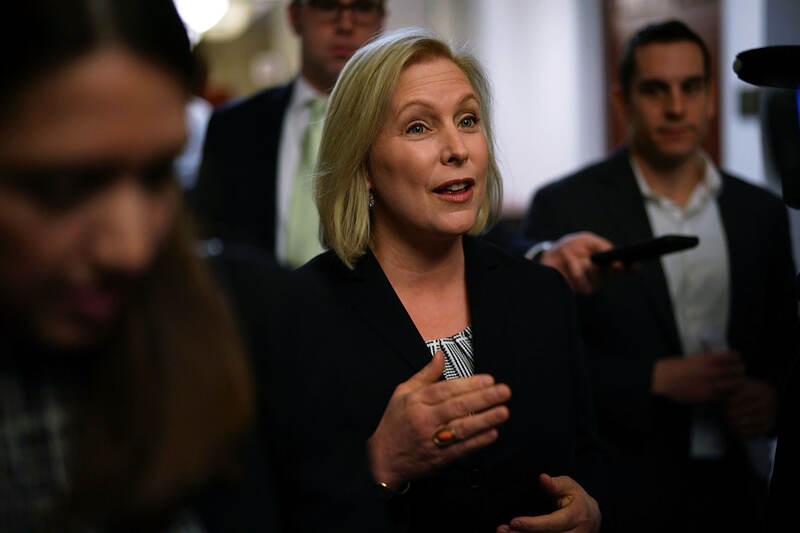 Gillibrand became the first presidential candidate to release her 2018 tax returns. She’s encouraging her fellow contenders to do the same. But given Gillibrand’s standing in the field, it’s not evident anyone is listening to her. U.S. News & World Report labeled Gillibrand a “1 Percent” candidate, i.e. only earning 1 percent support in the polls and “unlikely to make it all the way to the White House.” See below for the other candidates named. A new poll released Monday showed Sanders with a significant lead among a finicky voting bloc: Americans between the ages of 18 and 29. Thirty-one percent of voters in the under 30 set said Sanders is their top Democrat choice for 2020. Biden finished in second place in the poll with just 20 percent, followed by O’Rourke with 10 percent. No other candidate reached even 5 percent, according to the Institute for Politics poll. Sanders was again pressed on CBS News’ “Face the Nation” on when he plans to release his tax returns. The Vermont senator routinely calls on President Trump to release his tax returns but has not yet followed Gillibrand’s step and done it himself. “Yeah, we will. I mean, we have it all done and it’s just a question of dotting the i’s and crossing the t’s. Yes, we will, absolutely,” Sanders said. And his campaign announced he raised $18.2 million in the first quarter of 2019 from more than 900,000 donations. Buttigieg is the $7 million man. According to his campaign, the underdog candidate raised about $7 million in the first quarter of 2019. While that just surpasses what Sanders and O’Rourke were able to raise in their first days as candidate, it’s nonetheless an impressive number for a candidate that few expected to gain traction. In the coming days, we’ll find out where Buttigieg’s results place him among the other contenders. Meanwhile, his campaign is scrambling to keep up with his newfound success. According to Politico, the Buttigieg operation is hoping to double its staff to about 40 people in the coming weeks. He’s looking to hire finance, communications and state staffers in Iowa and New Hampshire. The campaign is moving its headquarters into a new office in South Bend, as well. Rep. Eric Swalwell (D-CA) told fundraiser attendees on Friday that he’s jumping in the race officially in two weeks. Sen. Michael Bennet (D-CO) told “Morning Joe” he’s likely to jump in the presidential race. “I’m very inclined to do it, and we’re looking at it. And I think, look, the American people need somebody who’s going to run and tell them the truth in 2020,” he said. Politico profiled former Gov. John Hickenlooper (D-CO) and analyzed whether his down-to-earth style will help or hurt him on the campaign trail. Former Rep. John Delaney (D-MD) and former HUD Secretary Julian Castro (D-TX) were also named “1 percent candidates” by U.S. News & World Report, along with Sen. Kirsten Gillibrand. They’ve all been candidates for several months and continue to languish in the polls.